Looking for a rustic flower girl basket? We’ve found a beautiful one over at Michele’s Cottage, today’s HANDMADE-A-DAY find! 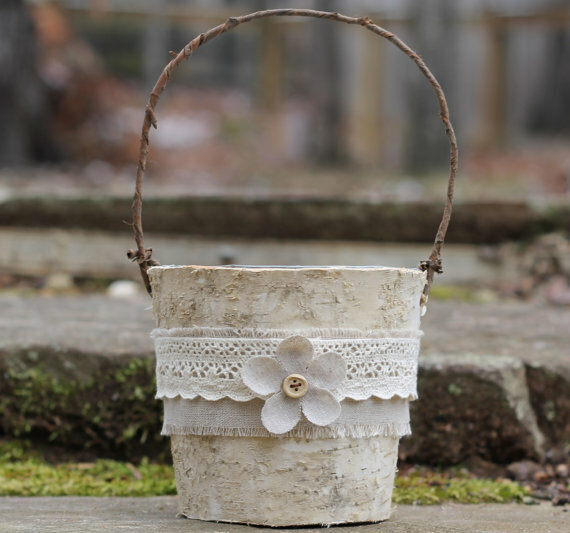 This birch bark pail flower girl basket is wrapped with burlap linen and lace. It features delightful linen flower with wood buttons. We love the handle: it’s made of real tree bark! Perfect for cottage, rustic, and shabby chic weddings.